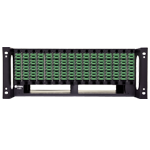 The Fiber Integrated Multi Access Platform (FIMA) is a modular headend wavelength division multiplexer as well as optical splitter platform available in a 19 inch 1RU and 4RU form-factor. The FIMA can be configured for standard WDM applications (1310/1550 nm), for CWDM applications (up to 8 wavelengths 1271 ~ 1611 nm), for DWDM applications (up to 16 wavelengths 1529.55 ~ 1560.61 nm), or for OSF applications (splitter/coupler, up to 1x 16 way). In addition, multiple combinations of passive wavelength division multiplexers can be used for customized applications. 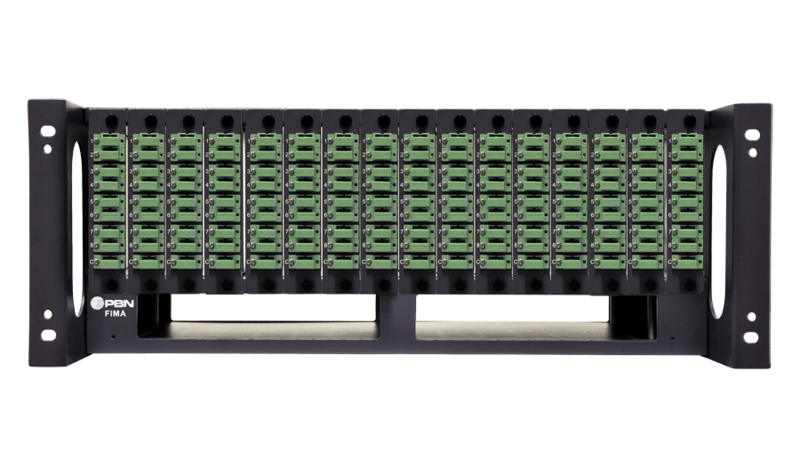 The module for FIMA is designed with SC/APC (for 9 or 10 ports) or LC/APC (for 18 or 20 ports) connectors, allowing for simplified operation and installation. The passive optical device uses proven Fused Biconic Taper (FBT) techniques, thin film fiber technology, and a Fiber Bragg Grating (FBG) design to minimize insertion loss and provide high wavelength isolation. (1) Typical insertion loss for 8 channels DWDM. When selecting different ITU, insertion loss remains the same. the same as the single splitter module. (3) Insertion loss for coupler same as splitter. Standard WDM The standard WDM module operates with 1310/1550 nm, supports up to 3x WDM filters in one module. CWDM The CWDM module operates in the range of 1271 nm to 1611 nm with 20 nm of channel spacing, supports up to 8 channels. DWDM The DWDM module operates in the range of 1529.55 nm to 1560.61 nm, supports up to 16 channels, it can be configured with 100 GHz or 200 GHz of channel spacing. 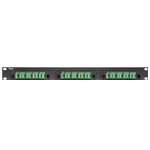 RFOG/FTTH CWDM The RFOG CWDM module supports up to 2x EPON/GPON lines with RF overlay for 1490/1550 nm forward path and 1310/1610 nm return path. The FTTH CWDM module supports up to 2x FTTH RF CATV overlay insertion on 1490/1550 nm forward path for EPON/GPON lines. * Function [YY] variable C must be used with Configuration [X] variable 0. Optical Splitter (OSF) The OSF module operates in the range of 1260 nm to 1620 nm, it can function as optical splitter or optical coupler, single module supports up to 1x16 way (when more than 1x9 way required, LC connector only). ADD/DROP Filter (FADF) The FADF module is a single channel ADD/DROP filter, operates in the range of 1529.55 nm to 1560.61 nm, it can be configured with 100 GHz or 200 GHz of channel spacing, designed with SC/APC connector. PBN can provide with customized modules on the new demand, contact a PBN Sales Representative for availability of customized modules. (1) PBN advises to order Mux and Demux modules in pairs for minimum link loss. (2) Contact a PBN Sales Representative for availability of customized wavelength configuration options. (3) When selecting single splitter module, support maximum splitter type 1x 16. (4) When selecting 2x splitter modules required, support maximum splitter type 1x 8. (5) When selecting 3x splitter modules required, support maximum splitter type 1x 4. 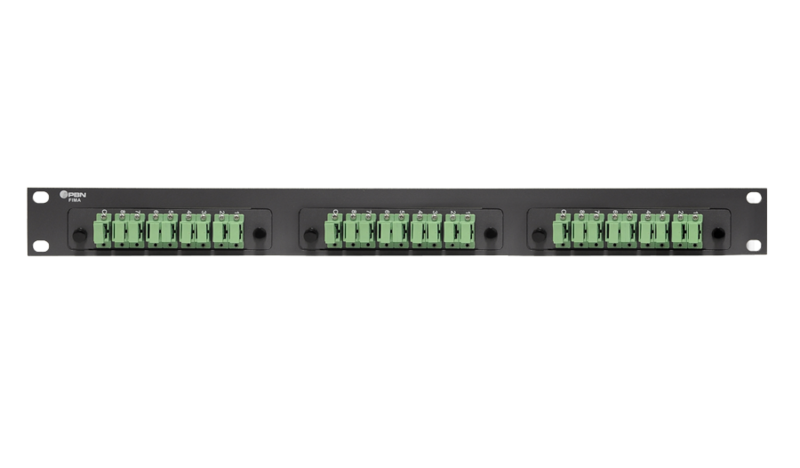 (6) Select 2 if 3 optical splitters (up to 1x 8 with LC connectors) are required within one OSF module.